The Easter 2019 Pop Up is being held at Kingsweston School, Napier Mills Road, Bristol, BS11 0UT. It will open on the 8th April 2019 until the 19th April 2019 from 9.30am – 5.30pm. There will be 5 sessions per day, a mix of disability specific sessions and open sessions for all. 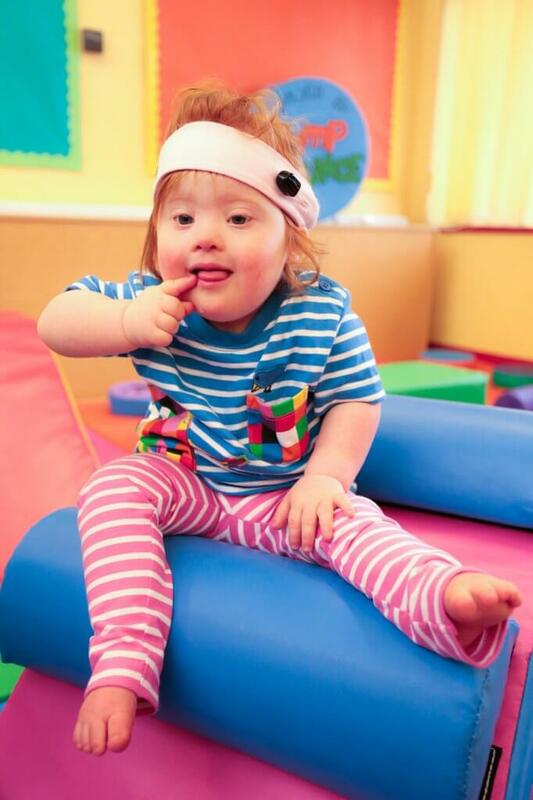 Some sessions include siblings and each session has both a 0-11 year old session and an 11-25 year old session. 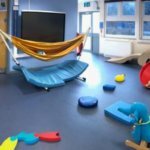 Sessions are 1.5 hours long except for butterfly sessions which are 2 hours long to allow for hoisting and longer toileting and medical needs. See our Session page for more details. 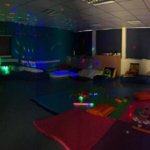 The indoor playground, music room, gym, calm sensory room and small outdoor playground. 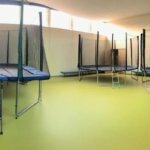 The trampoline room, active sensory, large outdoor playground and the Cafe. 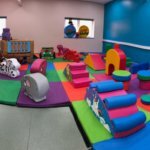 The centre will have 9 separate play rooms/ areas – 2 sensory rooms, an indoor and 2 outdoor playgrounds, a music room, soft play room, a fully inclusive gym and a trampoline room as well as breakout rooms for those who need them. 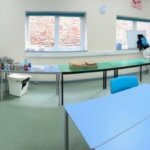 The equipment and set up of the rooms encourage play, exercise and a varied sensory experience for all abilities. 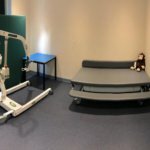 Each room has hoists and play/ exercise options for different abilities or disabilities. 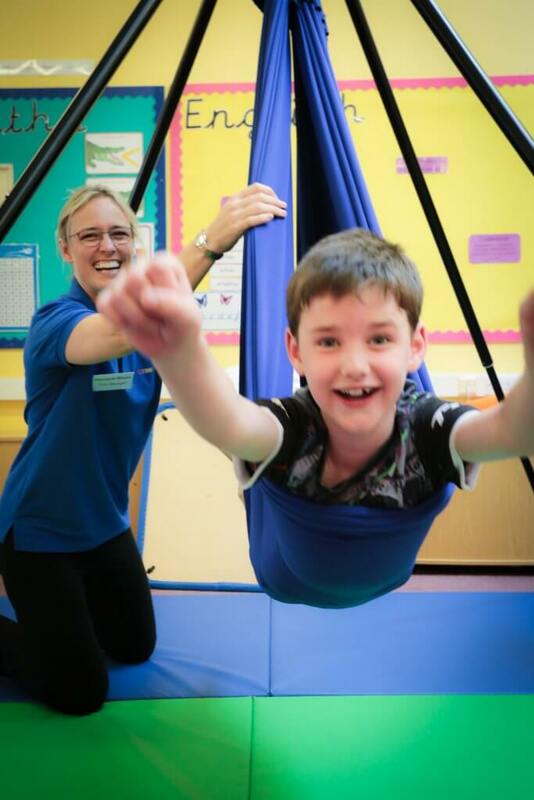 We have changing beds and hoists for toileting and are controlling numbers of attendees, depending on the sessions, to cater for different sensitivities and needs. There will also be a cafe providing sandwiches, fruit, snacks and of course – a selection of our famous homemade cakes. We have a range of cold drinks alongside our brand new coffee machine, offering a variety of hot beverages. Somewhere you can relax and chat to others after your session. 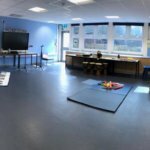 Parents are responsible for all their children but we have members of staff in each room who are specialised in working with children and young people with disabilities who can give you a hand to access equipment and make the most of the centre. Please note they are not responsible for looking after your children and you will be required to agree to a waiver to attend the Pop Up. There will be plenty of parking and a drop off point for those who need it. See our location page for details. 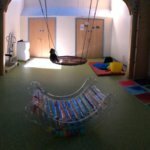 Keep an eye on this website, our social media and sign up to our newsletter to keep up to date with news and updates. We exceeded our fundraising goal and so were able to put on the first Pop Up in August 2018. 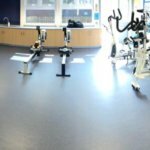 This was a huge success, demonstrating that there is the need and proving our concept for the main centre. 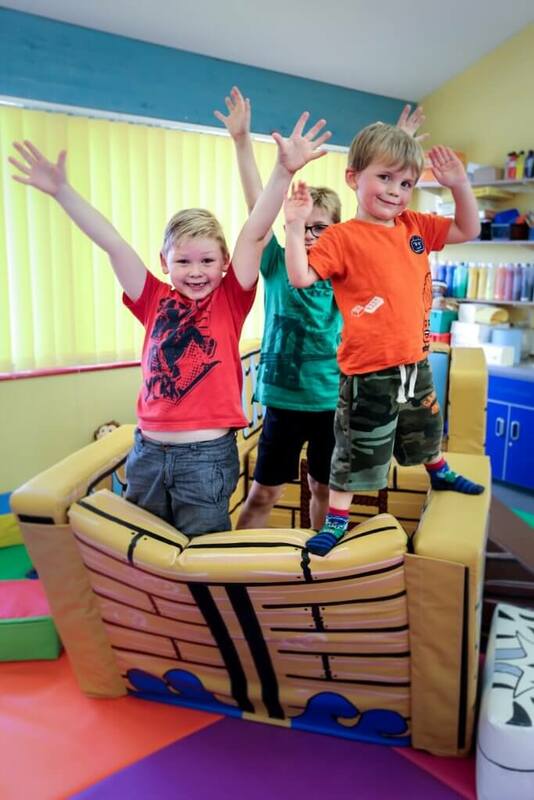 We had over 1,100 children booked over the 4 weeks with people travelling as far as from Braunton (North Devon), Reading and Worcester – with one family making a holiday of it and staying in a hotel.